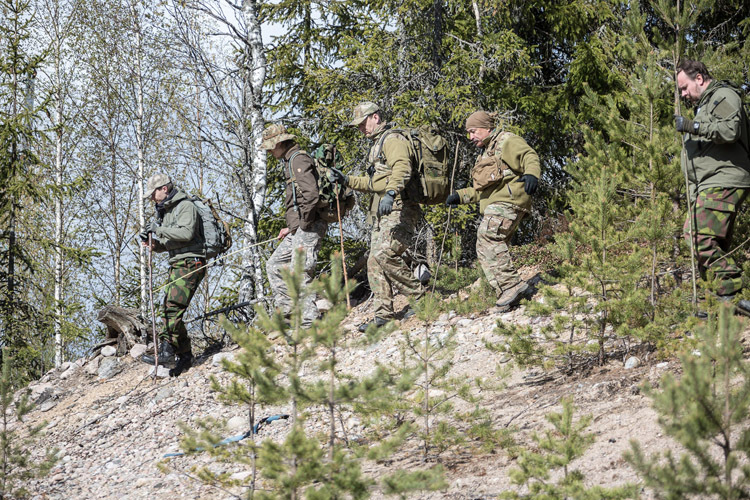 Finland Trackers, good day! In this article, again I will demonstrate to you that you do not have to be indigenously born to know the art of Tracking Humans. This is a cognitive skill that can be learned, and with some soil and vegetation time you too can track as good or better than many aboriginals. Last month we learned that by using the average pace count that we can assess the number of humans passing through an area. This month we will elaborate on a different method called the Comparison Method. By comparing an unknown number of tracks to a known number of tracks, you will be able to estimate the amount of people that has passed an area while in a File Formation. As an example, have 12 personnel walk in a File Formation paralleling the unknown tracks in the same type of surface. Have this known number of 12 personnel repeatedly cross, in a File Formation on the same type of surface. Continually do this until the surface of the deliberately laid tracks has the same appearance as the unknown tracks on the surface you are comparing it to. 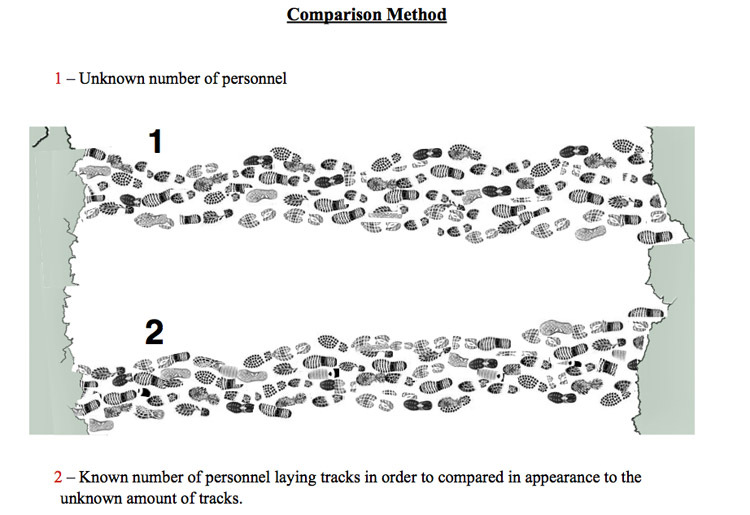 Once the appearance looks similar to the unknown tracks, you can than estimate the number of personnel whose tracks are in question. Knowing that 12 personnel laid the comparison track, you now can multiply the number of times the 12 personnel went across to deliberately lay the comparison track. This estimate will give you a good rough calculation of the number of personnel in question. It is not an exact science, but pretty near. So, if 12 personnel walked across the tracks for comparison reasons, 4 consecutive times, the result would be approximately 48 personnel. This method is best used for numbers exceeding 12 personnel. We will continue this, The How to of Tracking: “ASSESSING THE AVERAGE NUMBER OF HUMANS AND ANIMALS” this coming Oct. So, until we track again in October get some soil and vegetation training time. In October we will discuss the The Direct Count Method of assessing the approximate number of humans and animals in a given area. My Anti-Tracking book will be out in the Spring or Summer of 2015. Hasta Luego!